Your creativity has been undercover--let us help you expose your potential! We all face difficult challenges in our work and the Central Intelligence Agency is no different. Under the constraints of stress, deadlines, and routine work, creative thinking becomes a luxury. Thanks to in-house training developed over the last 12 years, when CIA officers are called to solve hard intelligence problems, they have the knowledge and tools to reveal their creativity. 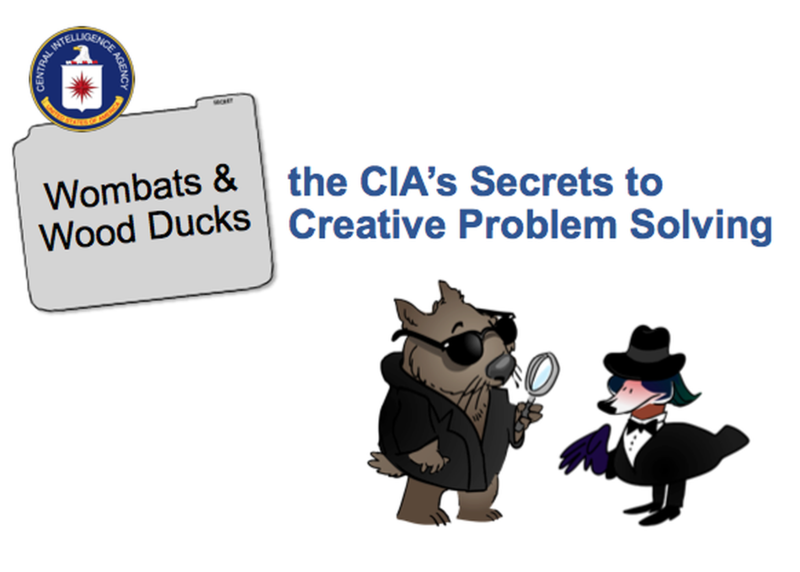 This presentation will share examples of creative problem solving in CIA history and introduce four techniques that attendees can use to increase their own solution-generating power.